Dr. Adelberg is highly experienced in the management of municipal/county and public Urgent Care clinics. As the President of TCMAi and its affiliates, Dr. Adelberg is actively involved in all aspects of the medical practice by setting the direction and standards for health, wellness, and preventive care offered by TCMAi. He is an airline transport pilot and operates the company aircraft in order to provide quick response to our regional client facilities. Dr. Adelberg has owned and operated Stuart Urgent Care and Family Practice Clinic in Jensen Beach, FL, for over 10 years. This clinic is one of the few nationally certified urgent care facilities operating on the Treasure Coast. Dr. Adelberg is also the Medical Director for Okeechobee County Fire Rescue, Okeechobee City Fire Department and the All County Medical Ambulance Service. He provided the emergency physician staffing for Raulerson Hospital in Okeechobee, FL, for nine years and was Emergency Department Medical Director for 14 years. Dr. Adelberg also practiced emergency medicine and occupational medicine in the city of Milwaukee from 1993 to 2010 at Wheaton Franciscan – St. Joseph Campus and St. Francis Hospital. 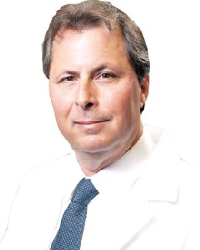 Dr. Adelberg is a board certified emergency physician with almost 60,000 hours of emergency department experience. He has been practicing medicine for over twenty-five years. After graduating from the University of Western Ontario in London, Ontario, Canada, he completed his residency in Emergency Medicine at Medical College of Ohio in 1987. His certifications include Emergency Medicine, Advanced Cardiac Life Support, Advanced Trauma Life Support, and Opiate Treatment Certification. Dr. Adelberg is licensed in nine states and in the Province of Ontario, Canada. Kelly is responsible for marketing programs, brand management, corporate sponsorships, and business development at TCMAi. 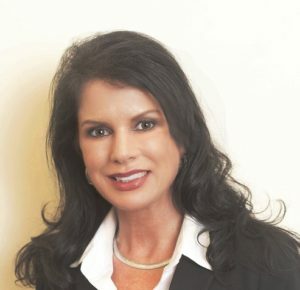 With more than 20 years of successful experience in strategic business development and marketing, Kelly specializes in helping companies expand their reach while meeting customer and market demands.